Susan Waite has a BA in Spanish from the University of Central Oklahoma. She presently serves as Liaison of the Bolivia-Oklahoma Partnership, a specialized division of the Oklahoma office of Volunteers in Mission (VIM). 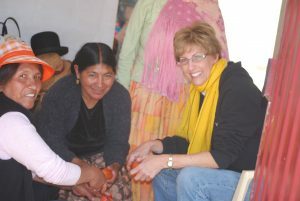 With 30 years experience in leading construction and medical mission teams around the world, including Bolivia, her focus is to help in obtaining general, non-professional VIM volunteers to partner with EIA in the implementation stages of various water infrastructure projects throughout Bolivia and Ecuador.